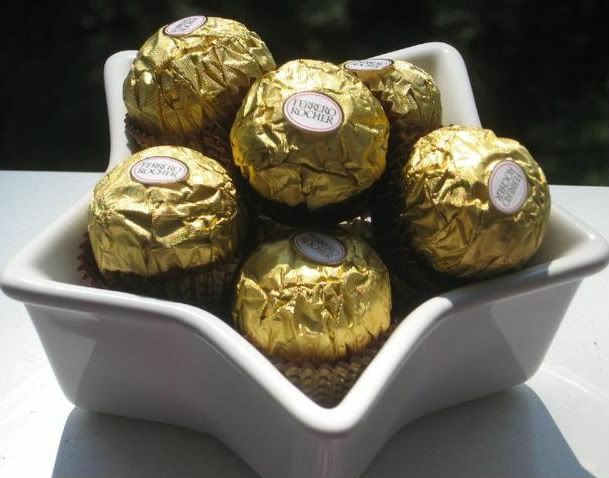 Ferrero Rocher are my absolute favorite candy. They’re lovely, crunchy, chocolatey balls of hazelnut cream surrounding a whole hazelnut. Mike isn’t a candy person at all, but he loves them as well. There’s something about the chocolate, cream, and hazelnut combination that just melds in your mouth. Best candy in the world! Never content to just enjoy pleasant things as they are, I wanted to innovate with these babies. 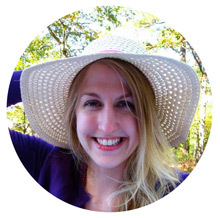 I decided (big surprise!) to try to create a Ferrero Rocher Cupcake. I searched out a delicious chocolate cupcake recipe with the intention of poking a whole, frozen candy in the middle of it prior to baking. 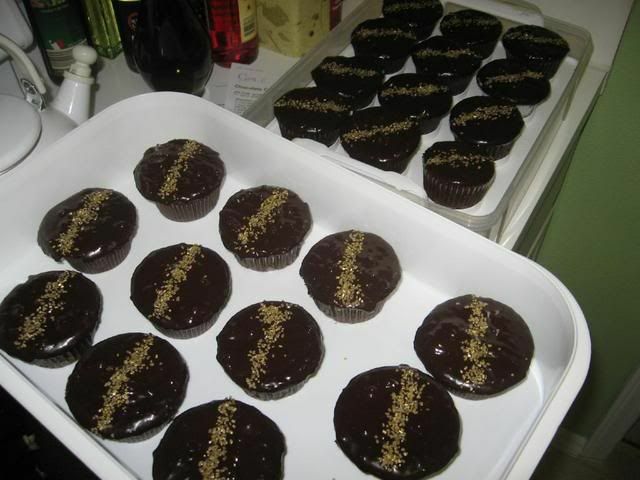 The frosting, in an attempt to mimic the chocolate and hazelnut covered shell of the candy itself, was ganache with chopped hazelnuts. And of course, I drove all the way to Michael’s to pick up some gold sprinkles to echo the candy’s bright gold wrapper. Oh yeah! Ferrero Rocher Cupcakes! Also, the crispy shell of the Rocher candies absorbed moisture from the batter during baking and lost some of its crunch. But all in all, despite some texture changes, I feel like this recipe was a success! I was pleased that the taste of the candy was maintained and worked well with the cupcake flavor. This trial run also makes me think of other great cupcake ideas. For instance, deconstructing the Rocher: it’d be nice to make a chocolate cupcake filled with hazelnut cream (mmm, nutella!) and chopped hazelnuts, and frosted with this same delicious ganache. 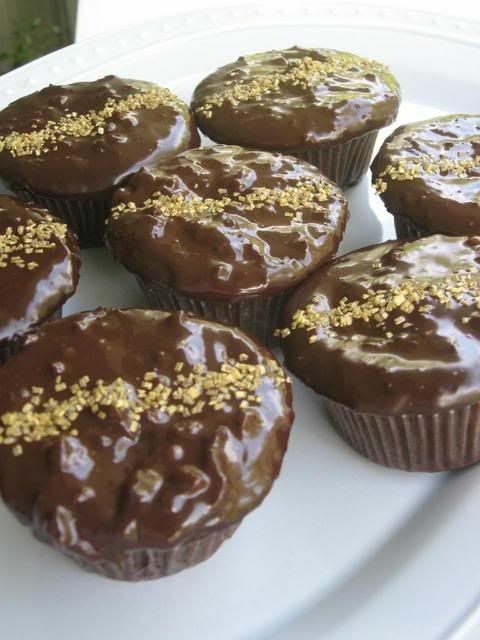 In fact, after posting, I went back and googled to see if anyone had thought of Rocher cupcakes. Turns out they had; I found some fun recipes! In particular, I’d love to try these! Mmm. There are also some great nutella swirl cupcake recipes I’ve seen floating around. Lots of possibilities! 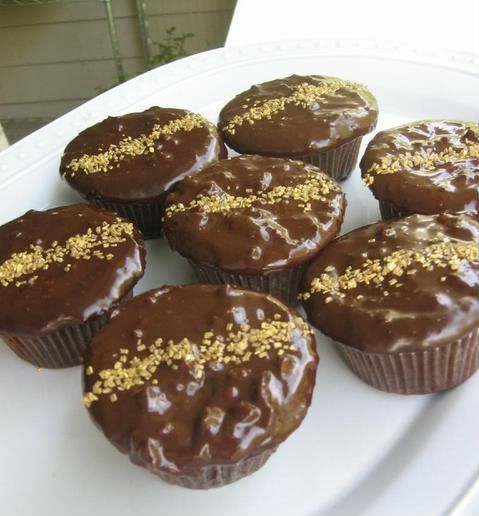 In the meantime, I hope you’ll enjoy these Ferrero Rocher Cupcakes. 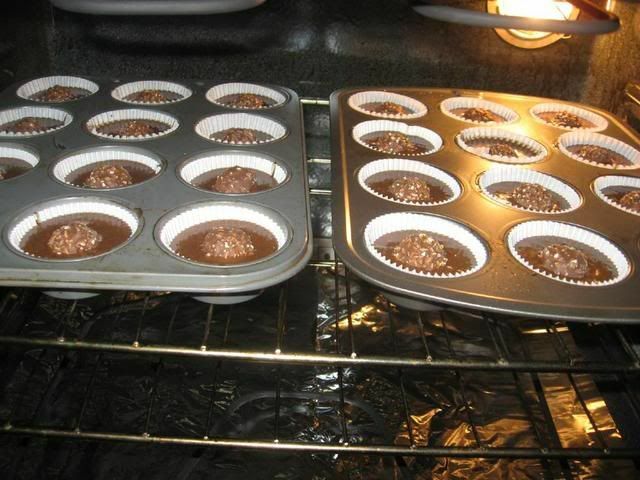 Cupcakes: Freeze 24 Ferrero Rocher candies for 30-45 minutes before baking. Preheat oven to 350 degrees (180 degrees Celsius). To make cupcakes, sift together flour, sugar, cocoa powder, baking powder, baking soda, and salt. 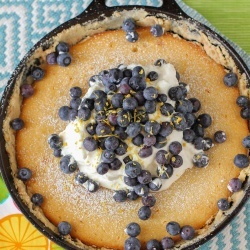 In a separate bowl, mix together oil, eggs, buttermilk and vanilla. Add wet ingredients to dry, mixing well. Increase speed and beat for 2 minutes, until well combined. Spoon into 24 paper-lined muffin cups, filling halfway. Do not overfill, no matter how tempting! Plop one frozen candy into the middle of each cup of batter. Bake for about 15-20 minutes or until tops are firm and toothpick inserted into cake comes out clean. Let cool in pan for a few minutes, then transfer to rack and cool completely. Ganache Frosting: Heat the heavy cream in a saucepan until just simmering (careful not to let it boil over). Pour the cream over the chopped chocolate in a heat-resistant bowl. Let sit for 2 minutes. Mix well until smooth. Add in finely chopped hazelnuts and mix. If ganache is too runny, let it cool for awhile until it’s at the appropriate consistency. Then, dip the tops of room temperature cupcakes into the ganache, letting excess drain for a few seconds before righting the cupcakes. 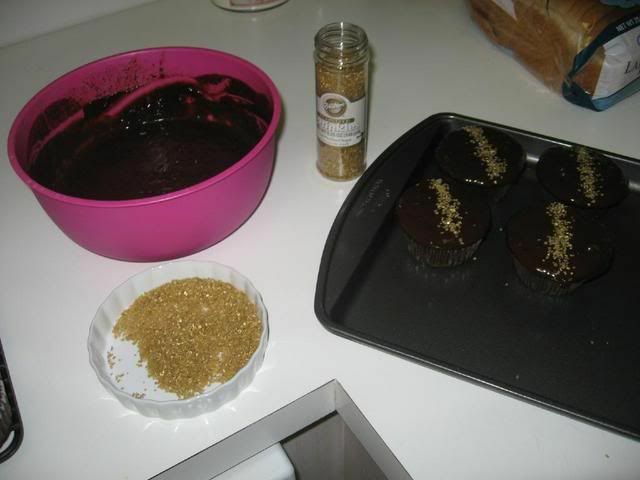 Sprinkle gold sprinkles or lay a piece of edible gold leaf in the center of the cupcake for a decoration. Let cool completely. The dipping and sprinkles station. Lots of delicious candy-inspired cupcakes. Mmmm those look delicious! Such a pretty presentation. They sound great . I think for the ganache frosting you could use Nutella. Ferreo makes Nutella and it is made of basically all the same ingredients that were used in the frosting. Just a thought. I am going to try to make these delicious sounding cupcakes. Just finished making Ferraro Rocher cupcakes, I wasn’t really happy with the results. I found the cake to be to light and fluffy for the chocolate inside. I admit I was looking for a denser cupcake like the ones I buy at Pie in the Sky Bakery in Mexico. Hi Julie thanks for your reply, I had no complaint except that I was looking for a dense cupcake. My husband is not a chocolate lover loved your cupcakes. I am sure my grandchildren will too. I am now interested in your roast chicken and chicken panini sandwiches. I don’t own a panini grill but use my waffle iron with the griddle attachment. Works well to. Glad your husband enjoyed the cupcakes! 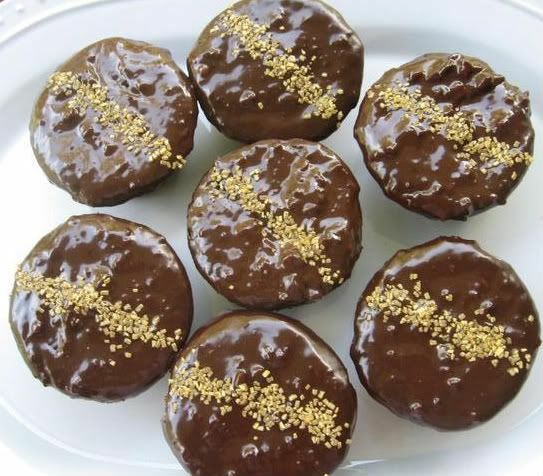 I like the gold sprinkles on yours! I think no matter how you make them if you throw all the flavors together they’re going to be good! Thanks for sending me the link to these. I totally agree! It’s just a fantastic flavor combo! Julie – I just wanted you to know that today, when I was stumped for a really light, moist chocolate cake recipe, I adapted this cupcake recipe to make THE most incredible chocolate cake. Thank you for providing the original recipe! Hooray, I’m so glad to hear it!! Thanks, Frances!